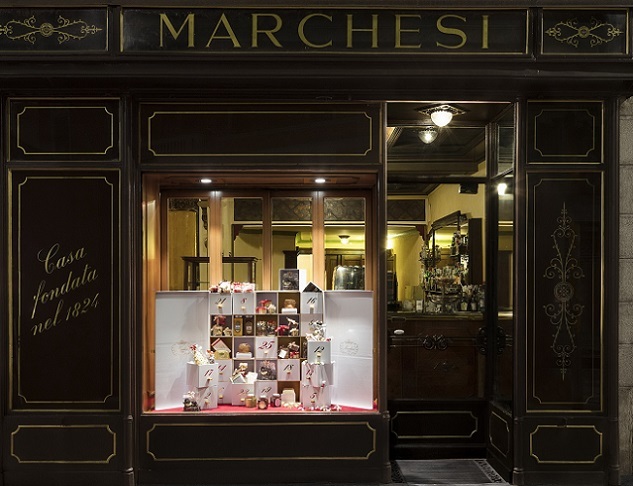 For Christmas 2016, Pasticceria Marchesi’s shop windows feature an Advent calendar, a delicious form of the traditional countdown to the festivities. 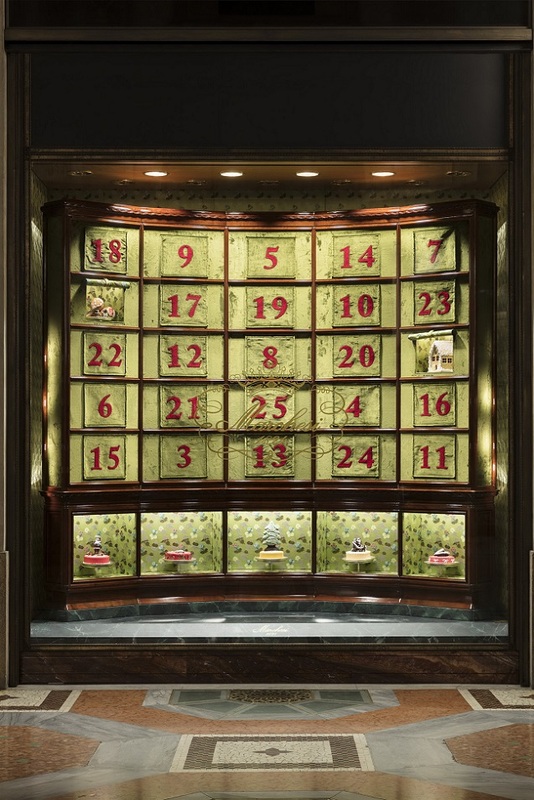 The twenty-five windows open, one each day, to reveal sweet surprises by Pasticceria Marchesi to count the days in anticipation to Christmas. The festively decorated store windows display panettoni decorated with royal icing or hand-painted, colourful shortbread pastries and chocolate delights portraying classic Christmas motifs. 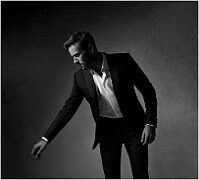 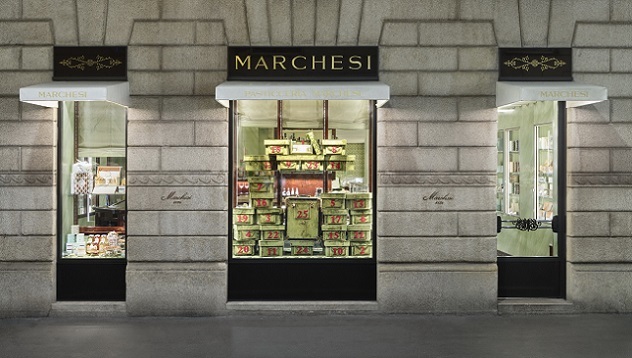 Inside the shops, Pasticceria Marchesi’s classic assortment is enriched with a new range of products, featured for Christmas in ten special selections, representative of the image of sophisticated elegance for which Pasticceria Marchesi has been known since 1824.